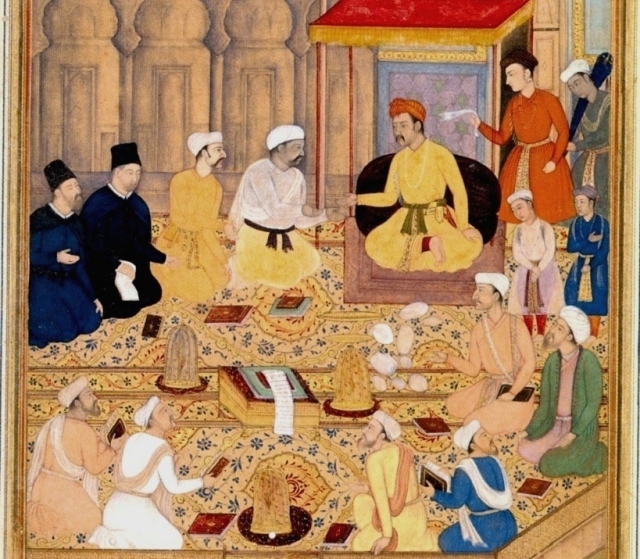 In this podcast Ushma Williams looks at the consolidation of Mughal control over India, political and economic developments, the impact of India on Akbar and the Mughal relationship with the Safavids, Ottomans and Europeans. 1. How did the Mughals consolidate their control? Balancing political factions. 2. Akbar: political and economic developments. 3. The impact of Hindu culture on the Mughals and Akbar. 4. Contact between the Mughals, the Safavids of Iran and the Ottomans. 5. India a key figure in the Asian Trade. Cultural and trade links with South East Asia. 6. The beginning of the British relationship with India. 7. Europeans open the sea routes to India in order to break the monopoly of the Silk Road.